Subcontractor filed a complaint for delay damages allegedly caused by the project owner and construction manager’s inept administration and poor administration. Defendants’ motion for summary judgment was granted, and this was affirmed on appeal, on the basis that the claims were barred by the no-damages-for-delay provisions of the contract. The court concluded that the sub failed to demonstrate any basis that might be argued as an exception to applying the clause. Further, the court rejected the sub’s contention that there is a material distinction between damages caused by delay and those caused by “disruption”, which the sub contended were not barred by the exculpatory provisions. Weydman Electric, Inc. v. Joint Schools Construction Board, et al., 140 A.D. 3d 1605 (NY 2016). Here the court found that the defendants met their prima facie burden of showing that the damages were barred from recovery due to the clause. The sub then had what the court called, a “heavy burden” of establishing the applicability of one of the exceptions, and it failed to meet that burden because “No evidence was presented that the conduct alleged was the result of [defendants’] gross negligence or willful misconduct.” “Claims … that the work was performed out of sequence, poorly coordinated, and plagued by design changes were clearly contemplated by the exculpatory provisions of the contract.” For these reasons, the summary judgment against the subcontract was sustained. Comment: A no-damages-for-delay clause is a serious risk-shifting clause in a construction contract. These clauses even show up in design professional contracts. In my view, a party that suffers damages or loss due to delays and disruptions caused by, or under the control of, the party with whom it is contracting, should be compensated. That means the clause needs to be removed from the contract or significantly revised to allow recovery. About the author: Article written by J. Kent Holland, Jr., a construction lawyer located in Tysons Corner, Virginia, with a national practice (formerly with Wickwire Gavin, P.C. 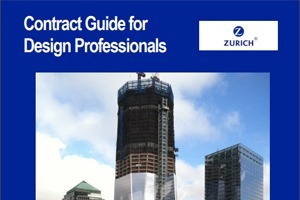 and now with Construction Risk Counsel, PLLC) representing design professionals, contractors and project owners. He is founder and president of a consulting firm, ConstructionRisk, LLC, providing consulting services to owners, design professionals, contractors and attorneys on construction projects. He is publisher of ConstructionRisk.com Report and may be reached at Kent@ConstructionRisk.com or by calling 703-623-1932. This article is published in ConstructionRisk.com Report, Vol. 19, No. 2 (February 2017).